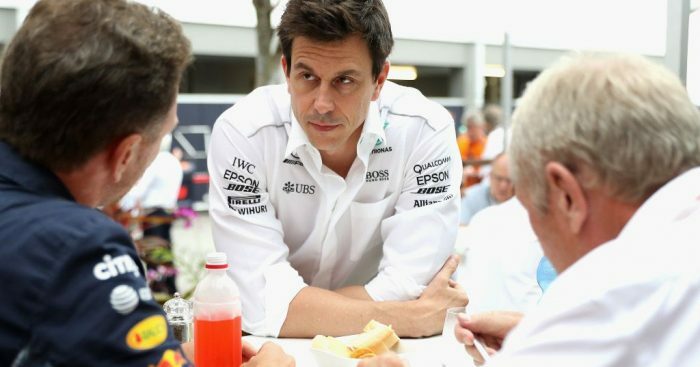 Toto Wolff has hit back at Helmut Marko after the Red Bull advisor accused Mercedes of “influencing” Pirelli to alter the tyres for Spain. This season Pirelli brought tyres with thinner treads to the Spanish Grand Prix with rivals saying the change came at the behest of Mercedes. And with the Brackley squad claiming an emphatic 1-2, the knives were out. Marko told Bild: “The tyres were changed at the request of Mercedes. When you’re a team and a manufacturer at the same time, you can do that.